When Warren Buffett speaks it appears as though an old sage is speaking. And yet he is so fond of talking about his fallibility. During his first India visit this week, he said in an interview with ET, “I have made plenty of mistakes. Over the last 60 years, sometimes I have misread the future. [And] that’s gonna happen to me again in the future”. Interestingly his biggest mistake didn’t happen because he misread the future. It happened because he got mad at the person on the other side and ended up buying instead of selling. How did that happen? And what were its implications for Buffett? Let's see in brief below. 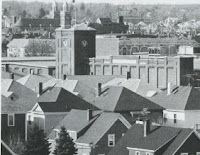 Berkshire Hathaway (BH) was formed in 1954 in New Bedford, New England from the merger of two textile mills each of which traces its origin to 19th century. By the time Buffett’s buddy Dan Cowin from Graham-circle suggested him the idea of buying BH, it was making losses for over a decade. However, BH was interesting to Buffett because it was selling cheap. According to its accountants it was worth $22 million as a business or $19.46 per share. And yet, you could buy a share for just $7.50. BH’s President Seabury Stanton knew this as well and whenever he would close a mill and sell its assets, he would issue a tender to buy-back shares. So Buffett devised a strategy to buy BH on a low tide and sell whenever Stanton issues a tender for stock purchase at some profit. The point is Buffett started buying BH not for keeping it forever but for selling it. In his usual style, Buffett drove up to New Bedford one day to see the place for himself. When Buffett was reluctantly ushered into Stanton’s palatially furnished, ballroom-size office, he saw that there was no place anywhere near Stanton’s desk to sit. The seventy one year old six-feet two niches Stanton was used to summoning people to stand before him while he sat behind his desk. The two men seated themselves at the uncomfortable rectangular glass conference table in a corner and Stanton asked Buffett at which price would he sell when the next tender comes up. Buffett said, “I‘d sell at $11.50 a share if it’s in the reasonably near future”. However, when Buffett actually received the tender letter back in Omaha a few weeks later, Stanton had quoted $11 3/8. Buffett felt Stanton cheated him for 12.5 cents less per share. He got furious and decided he would buy a controlling stake of BH and fire Stanton. And that’s what he ended up doing. Elephant-Rider model we looked at earlier tells us that our decisions are mostly governed by the Elephant side of our thinking. And the Elephant is emotional. And when emotion takes over, the tiny Rider which is the rational side of our thinking has no chance of influencing the decision. This Warren Buffett story illustrates how weak the Rider is even if you have the best Rider in the world. Source: The Snowball, by Alice Shroeder (Chapter 27, Folly). It is no use hearing the fire alarm after the fire engulfs you. The real value of any metric system is in raising alerts so that you have time to take action. Innovation pipeline seems to be the most commonly used lead indicator metric by CEOs to track innovation in the company. In fact, GE CEO Jeff Immelt told his top leaders, “If you can do only one thing well, this is what I’d pick: Make sure this pipeline is always full”. What kind of strategic actions are taken by CEOs after reviewing the innovation pipeline? Let’s look at a few examples from 3M, GE, Biocon, HUL and Infosys. One of the initiatives that Jeff Immelt kicked off when he became CEO of GE in 2001 was “Imagination breakthrough”. It is a pipeline of ideas that could generate more than $100M in incremental revenues. Out of the 30 ideas that entered the pipeline in the first year, about 20 of them turned out to be good projects. Today the pipeline is managed by CMO Beth Comstock and has 100 plus ideas in the pipeline with everything from new stroke technologies that are offered to ambulances to solar or wind energy technologies. Immelt tracks about 30 of them every month. If everybody tracks innovation pipeline, what is the differentiator? Is it about how some of those ideas are linked to customer’s anxieties and aspirations at a deeper level? Perhaps coming out of an immersive research like P&G does or a “dreaming session” with customers like Immelt does? Is it about a discipline of funding & protecting investments in the good ideas and parking the rest? Is it about ensuring the speed of experimentation and customer feedback cycle? I don’t know. Any thoughts? Each of the four businessmen in Gita Piramal’s “Business Legends” – Kasturbhai Lalbhai, Ghanshyamdas Birla, Walchand Hirachand Doshi and J R D Tata – is legendary in his own way. However, Walchand Hirachand appealed to me in a special way. If Jamsetji Tata and Mahatma Gandhi epitomized systematic innovation then Walchand Hirachand epitomized non-systematic innovation. If Warren Buffett was paranoid about wide margin of safety then Walchand thrived on narrow margin of safety. Why do I call Walchand, the man behind several pioneering works in India from Bhor Ghat railway tunnels between Mumbai and Pune to Hindustan Aeronautics Limited (HAL) in Bangalore, a non-systematic innovator and yet adore him so much? Let’s see in this article. 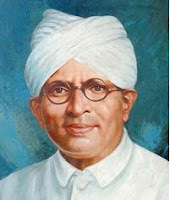 Walchand was born on 23 November 1882 in Sholapur, Maharashtra, to Raju and Hirachand Doshi, a devout Digambar Jain trader family. Walchand learnt the tricks of trade the hard way, losing money in the first two attempts – a speculative jowar trade and even more speculative cotton trade. His loss in the second attempt was even bigger than the first. Walchand had also concluded that banking was not for him as he considered collecting interest was ‘a woman’s job’. A turning point came when Walchand was twenty-one years old and frustrated with life. This is when he met Laxmanrao Phatak, a thirty-something ex-railway Brahmin clerk. Both shared a love for Marathi literature, theatre and movies. By the time the two met, Phatak had gained a thorough knowledge of the way the wheels of railway affairs revolved, what strings to pull, how to manipulate the allotment of funds and turn it to advantage. In 1903, Phatak and Walchand joined hands and bid for a tender to lay seven mile narrow gauge track near Barsi. Walchand convinced his father and uncle to put in Rs. 80,000 and a partnership registered in October that year was to last fourteen years and take both their careers to new heights. Walchand entered shipping accidentally. Mr. Watson, a senior Crompton executive, told him over lunch in a train journey to Bombay that a steamer which had been purchased by Maharaja of Scindia during the war was up for sale. Walchand was so fascinated by the idea of a shipping venture that on reaching Bombay he drove straight to the docks to inspect the ship. It was love at first sight. “Then and there I resolved to leave no stone unturned in order to buy SS Loyalty”, he would recall. Before the end of the day, Walchand had roped in friends to buy the ship for Rs. 25 lakh. A series of surprises popped up as Loyalty commenced its first voyage from Bombay to London on 5th April 1919. Walchand was told in Bombay that Loyalty’s repair cost would be Rs. 1 to 1.5 lakhs. In London he discovered them to be Rs. 7 lakh. Six weeks of stay extended to five months. Walchand utilized the time to study his primary competitor the then Microsoft of shipping – British India Steam Navigation Company (BI) and decided to buy a fleet of six medium-sized cargo steamers from Palace Shipping Company in Liverpool for a million pounds. After paying a deposit of £100,000, Walchand realized he had to first obtain a shipping controller’s sanction. Walchand launched an emotional propaganda at the backdrop of Jalianwala massacre and ended up buying the entire Palace Shipping company instead of just six steamers. After two more rounds to Europe it was clear that Loyalty wasn’t economical and was sold in February 1923 as scrap for Rs.1,35,250. Scindia decided to focus on cargo in Bombay-Rangoon sector, an area monopolized by BI. As expected, BI slashed its freight on rice from Rs. 18 per ton to Rs. 6. This tactic had worked for several of the 102 Indian shipping companies that went into liquidation since 1860 including Jamsetji Tata’s company. To fulfill cargo requirements Scindia started subsidiaries to trade rice and coal. Bill Gates of BI, Lord Inchcape offered Rs. 25 for every share which was traded for Rs. 6 on Bombay Stock Exchange to buy Scindia. Walchand went to meet Inchcape in Delhi along with another Director Narottam Morarjee on 14th March 1923. Inchcape said, “We look on the Scindia Company which has trespassed into our field as pirates. That’s what you are – pirates!” Walchand flung back, “Who are pirates? We or you?” and walked out of Inchacape’s office. The second meeting opened with Walchand proposing, “Scindia is not for sale, on the contrary we are prepared to buy BI. Name your price.” It was like a local chain in Bangalore like M K Ahmed proposing to buy Wal-Mart. What guts! This is how Walchand describes himself, “I am a dreamer, oblivious to reality, creating friction where I should not, obstinate and opinionated, allowing no peace either to myself or others.” How many of us have an image of ourselves as rooted in reality as Walchand’s? And if we have how many of us have the guts to say it openly? Hats off to the daredevil!